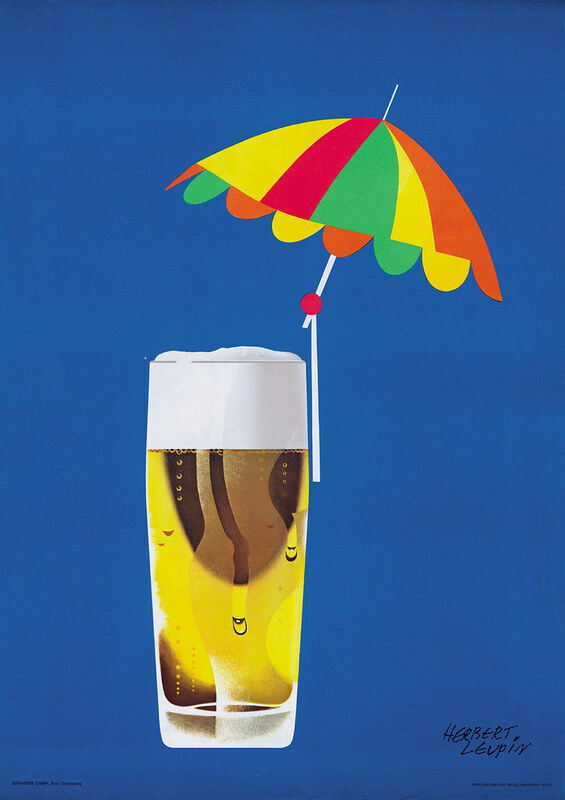 Monday’s ad is for Der Sonnenschirm, or the beer umbrella, from 1966. From the late 1800s until the 1960s, poster art really came into its own, and in Europe a lot of really cool posters, many of them for breweries, were produced. This is part of a series of posters promoting beer by the German Brewers Association in the mid-20th century. It was created by Swiss artist Herbert Leupin.